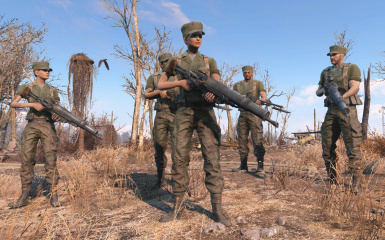 This is a simple Leveled List Patch for the wonderfull 'Fatigues Extended - Military Outfits and Reinforcement Abilities" mod by Nutulator, who simply add all of his outfit to the Gunner Faction Leveled List. 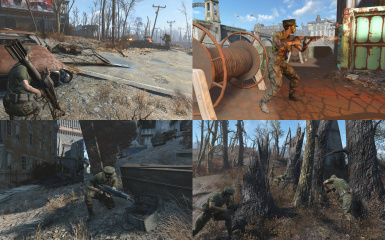 The patch was designed to work with the "Fatigues Only" version of the mod and must be installed before the patch. 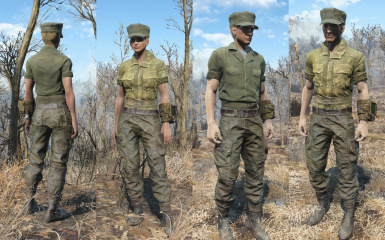 This simply add all of his outfit to the Gunner Faction Leveled List. 1. 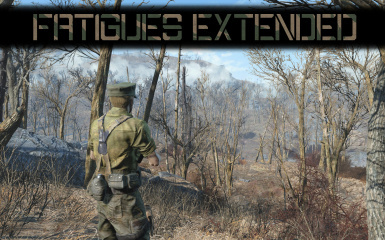 If you don't know anything about modding and FO4Edit, simply download the patch with NMM and install it, just remember to check if it put the patch after "Fatigues Extended - FO.esp" in your load order or let LOOT do the job.